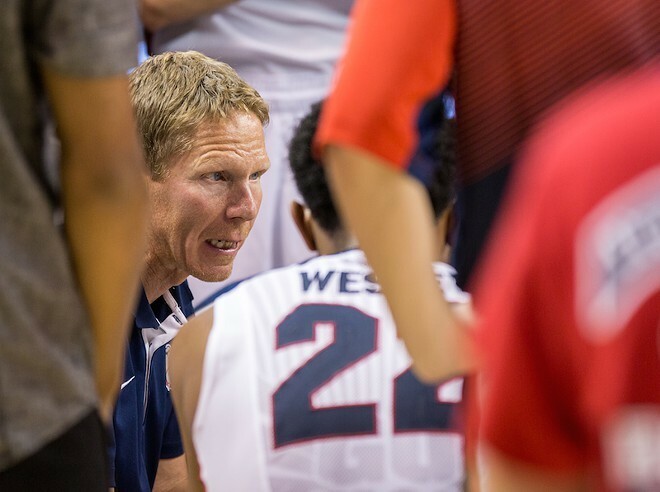 Whether warranted or not, the success of Gonzaga's season will be measured against what happens this afternoon in Seattle. That seems like hyperbole, but it's how a whole hell of a lot of Gonzaga fans feel after they've seen their squads fall in the round of 32 year after year, even when they had the No. 1 seed a couple years ago. So when they take the floor at 4:10 pm at Key Arena against Iowa, a team that played one of the best games of the tournament thus far with an 83-52 thumping of Davidson on Friday night, there will be a lot at stake. No NCAA tournament game is a cake walk, but the Zags have drawn a tough one with the seventh-seeded Hawkeyes, who surprisingly have brought a sizable contingent of fans to Seattle. The challenge for the Zags will be that Iowa is one of the only teams in the field that can measure up to their size. They go 7-foot-1, 6-11, 6-8 in the front court, which pretty comparable to what Gonzaga puts out there, but is nevertheless size they haven't seen all season. But at a press conference yesterday afternoon, Kyle Wiltjer didn't seem too concerned with Iowa's size. "We're going to still continue to play our game. Me and [Przemek Karnowski] play really well together and we really just try to just play a good high-low basketball and post up strong, no matter how big they are. So, I think we fare up well with them," he said. It should be an entertaining battle down low, but the Zags will also have to shut down Aaron White, who went for 26 points in that demolishing of Iowa.